Gotu kola is a staple in traditional Indonesian, Chinese, and Ayurvedic medicine. Its most important benefits have been boosting brain power and healing various brain ailments. But with modern science making giant leaps through established research, we have more to know about gotu kola – the ancient herb that can heal you in magical ways. How Can Gotu Kola Benefit You? Does Gotu Kola Have Any Side Effects? Gotu kola is an herb native to the wetlands in Asia. It is scientifically called Centella asiatica and finds its use both as a culinary vegetable and a medicinal herb. Gotu kola grows in temperate and tropical swampy regions across the world. Studies show this herb can soak up heavy metals from the soil (1). Hence,we recommend you go for organic versions of the herb to avoid the harmful effects of dangerous heavy metals. Gotu kola might be the wonder food you are looking for – due to its benefits. Studies using higher doses of gotu kola found the herb to improve the cognitive function of the subjects involved (2). 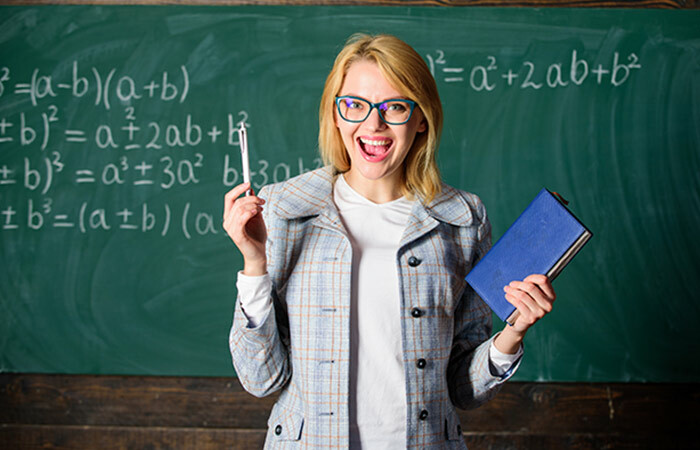 In other animal models, the herb was found to boost learning performance and memory retention. These effects can be attributed to several active ingredients in the herb, the most important of which are pentacyclic triterpenes. Another study tells us that gotu kola can improve cognitive function that takes a hit right after a stroke (3). Interestingly, gotu kola fared far better than folic acid that was used in the study for similar purposes. Of course, the dosage of the herb used was far greater. The herb also activates certain antioxidant response genes that can further enhance one’s cognitive ability (4). This can also be linked to gotu kola’s ability to reduce oxidative stress. Gotu kola is identified as one of the few medicines in Ayurveda that rejuvenates the nerves and brain cells. It is believed to increase intelligence, memory, and longevity. Its derivatives decreased the concentrations of free radicals and the associated cell death (5). Gotu kola extracts can also improve behavioral deficits associated with Alzheimer’s disease (6). These extracts can also restore neural cells as per studies. The herb achieves this by correcting mitochondrial dysfunction, which contributes to neurodegeneration and other related diseases like Alzheimer’s and dementia (7). Gotu kola also helps reduce amyloid beta levels in the blood (8). These are compounds crucially involved in Alzheimer’s disease. When 33 individuals diagnosed with General Anxiety Disorder were withheld from antidepressant medication and given gotu kola tablets instead, they showed improvement. 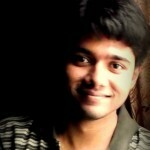 Scores for stress, anxiety, depression, and lack of attention had drastically gone down after 60 days of treatment (9). The herb was also found to have effects similar to commercial antidepressants like imipramine and diazepam, though at a lower level (9). Preliminary findings also suggest that gotu kola can have anxiolytic effects in humans (10). Gotu kola can also increase the levels of monoamine neurotransmitters (like serotonin), potentially boosting feelings of happiness (11). This can help combat depression. Studies show that gotu kola can be effective in treating venous hypertension (high pressure in the veins of the legs) (12). The herb was found to improve microcirculation and leg volume in patients. There isn’t much information about how this can contribute to general hypertension. Consult your doctor before using gotu kola for this purpose. Gotu kola can strengthen the gastric mucosal barrier and reduce the damaging effects of free radicals. This can help treat stomach ulcers (11). The antiulcer effects of the herb were found to be comparable with prescription drugs like famotidine and sodium valproate. In another study, gotu kola extract displayed gastroprotective effects against gastric mucosal injury (13). This shows the ability of the herb to protect the gastric barrier, which may mean treating stomach ulcers too. Studies show that gotu kola can be effective in treating postoperative scars (14). Saponins, specific compounds in the herb, can be held responsible for this activity. Gotu kola also has a tightening and firming action on the skin. This characteristic can help reduce stretch marks (15). Gotu kola preparations were found to decrease stretch marks women usually develop post pregnancy. 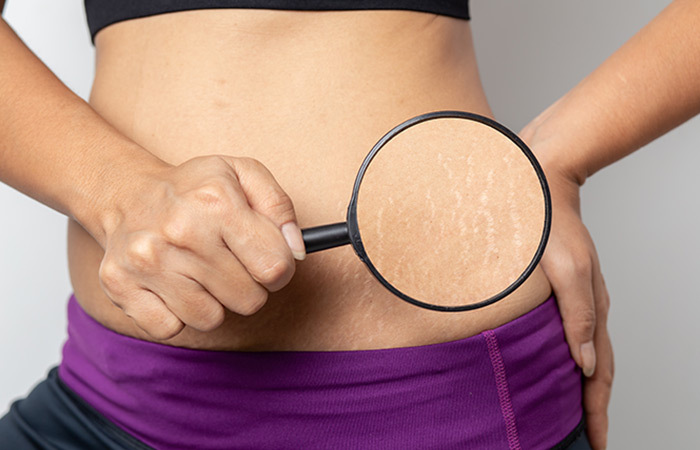 In a placebo-controlled study involving 100 women, application of a cream with gotu kola as the main ingredient led to fewer women developing stretch marks (11). Extracts of gotu kola can facilitate wound healing in both incision and burn wounds. A 1% gotu kola extract cream was found to improve wound healing of chronic ulcers, in terms of their width, depth, and length (16). These wound-healing properties of the herb can be attributed to the phyto-constituents it contains. While the herb increased the wound breaking strength in an incision wound model, asiaticoside isolated from the herb had increased collagen content in a punch wound model (16). Wound dressings containing gotu kola were found to have healing effects on multiple types of wounds (17). Gotu kola might be useful in preventing liver damage. It achieves this by increasing the concentrations of antioxidant enzymes and reducing the levels of inflammatory mediators (18). But we want you to exercise caution as another report says that gotu kola may have liver damaging effects (19). There is very little information on this. But there is one study that shows that a topical lotion (with gotu kola as one of the ingredients) helped reduce thigh circumference and thigh fat mass in sedentary women, when combined with a walking program and a restricted caloric intake (20). Other than this, we don’t have sufficient information. Hence, we suggest you talk to your doctor before using the herb for this purpose. With the benefits clear, we are sure you want to make use of this herb right away. But hold on – how do you use it? Where can you procure it from? You can either use gotu kola capsules or the liquid extract – you can get them from your nearest health store or even at a retail store like Walmart. You can purchase the capsules online. It is important you speak to your doctor before going for this herb. When it comes to the dosage and the way to use it, do as directed by your health care provider. But before you do any of those, you must also be aware of the possible adverse effects of the herb. The herb is safe to be used topically. But there is not much information available about its oral intake. If you are pregnant or breastfeeding, don’t consume gotu kola. We have already discussed this in the earlier section. People with liver disease should stay away from gotu kola. More importantly, they must consult their doctor. Gotu kola may cause excessive sleepiness if combined with those medications usually used during or after surgery. Avoid using the herb at least two weeks prior to scheduled surgery. Gotu kola may cause allergies in some individuals. The symptoms include hives, itchiness, skin redness, difficulty in breathing, swollen lips, tongue, face, or throat. Stop use immediately if you notice any of these signs. Sedatives like Klonopin, Ativan, Ambien, etc. Medications that may harm the liver, including Tylenol, Aldomet, Cordarone, Zocor, Dilantin, etc. Gotu kola is a potent herb. The fact that it has been in use since traditional ages tells us one thing – it is worth a try. Ensure you have a word with your doctor before going for it, though. Have you heard of gotu kola before? Ever used it? Leave a comment below to share your thoughts with us. Is gotu kola a stimulant? No, it is not. It is often confused with kola nut, the fruit of the kola tree (native to tropical rain forests of Africa) that contains caffeine and works as a stimulant. “Evaluation of the phytoremediation…” ResearchGate. “Effects of Centella asiatica…” Nature Journal. “Effectiveness of gotu kola extract…” Evidence-based Complementary and Alternative Medicine, US National Library of Medicine. “Centella asiatica modulates antioxidant and…” Journal of Ethnopharmacology, US National Library of Medicine. “Ayurvedic medicinal plants for Alzheimer’s…” Alzheimer’s Research & Therapy, US National Library of Medicine. “Centella asiatica extract improves…” International Journal of Alzheimer’s Disease. “Ayurvedic medicine for the treatment of dementia…” Evidence-based Complementary and Alternative Medicine, US National Library of Medicine. 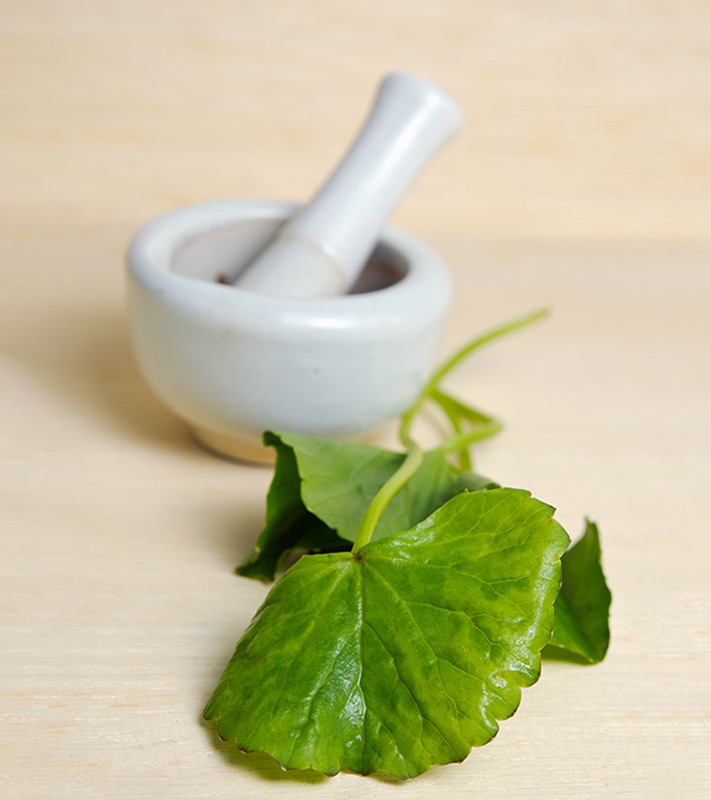 “Centella asiatica extract selectively decreases…” Phytotherapy Research, US National Library of Medicine. “Recent updates in neuroprotective and…” The Malaysian Journal of Medical Sciences, US National Library of Medicine. “A double-blind, placebo-controlled study on…” Journal of Clinical Psychopharmacology. 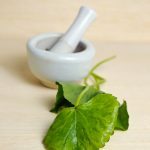 “Pharmacological review on Centella asiatica…” Indian Journal of Pharmaceutical Sciences, US National Library of Medicine. “Microcirculatory effects of total…” Angiology, US National Library of Medicine. “Centella asiatica leaf extract…” Journal of Medicinal Food, US National Library of Medicine. “Centella asiatica in cosmetology” Advances in Dermatology and Allergology, US National Library of Medicine. “Skin ageing: natural weapons and strategies” Evidence-based Complementary and Alternative Medicine, US National Library of Medicine. “Wound healing activities of…” BMC Complementary & Alternative Medicine, US National Library of Medicine. “Mechanical properties and in vivo healing…” ScienceDirect. “Protective effects of Centella asiatica leaf…” Molecular Medicine Reports, US National Library of Medicine. “Drug-induced liver toxicity and prevention by…” Frontiers in Physiology, US National Library of Medicine. “Effects of a topical lotion containing…” Journal of Cosmetic Dermatology, US National Library of Medicine.